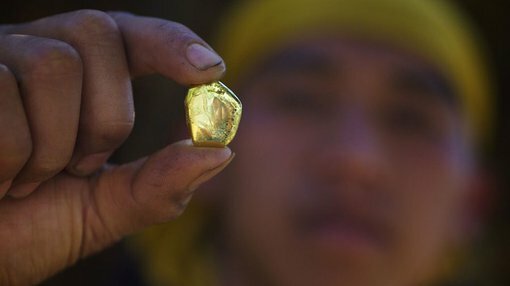 Red Mountain Mining Ltd (ASX:RMX) has moved a step closer to commencing gold production in the Philippines as the company completes a checklist of requirements to advance the project. RMX is planning to produce 100,000 oz. of gold over an initial 5 year period from its Batangas Gold Project. Total Mineral Resources at Batangas stand at 6.19 million tonnes at 2.2 g/t Au, for 444,000 oz including the high grade South West Breccia resource of 221,000 tonnes at 6.3 g/t Au. In a recent update, the company announced the latest tranche of funding totalling US$220,000 from Bluebird Merchant Ventures Ltd, adding to the US$280,000 already provided following an agreement in December 2014. The additional funds will go to RMX’s wholly owned subsidiary Red Mountain Mining Singapore Ltd (RMMS) pursuant to a signed converting loan agreement with a significant new Bluebird investor. As part of its Agreement with RMX, Bluebird is now on track to complete the Admission (listing) process on the Alternative Investment Market (AIM) on the London Stock Exchange (LSE) in the UK in the near term. A further US$500,000 will be paid to complete the Definitive Feasibility Study (DFS) and ongoing permitting requirements before the delivery of a more substantial US$4.5 million to fund detailed design and initial development expenses. Furthermore, the company is anticipating the results of the DFS to be published within the coming weeks which is likely to affect its prospects going forward. In an announcement to the market in mid-March, RMX revealed that the DFS had been fast-tracked. Currently, RMX is capped at just under $5 million. With 2 main project areas being actively explored, substantial indicated and inferred gold resources, plus previous scoping studies and initial DFS findings confirming a strongly viable gold mine development, RMX is in a strong position as it awaits feasibility study findings and final permitting to develop the project. To fund mining development, RMX has sewn up US$1M in strategic funding from Bluebird Merchant Ventures Ltd – followed by a further US$4.5 million, expected to come following completion of the Definite Feasibility Study and full permitting. From this funding support, RMX and Bluebird intend to form a 50:50 joint venture. Last week, RMX received an additional US$220,000, taking the total up to US$500,000 to date. This cash injection will be used to fast track the DFS and final permitting stages as efficiently as possible. RMX’s flagship project is called The Batangas Gold Project, situated 120km south of Manila, at the southern tip of Philippines’ main island, Luzon. At Batangas, RMX has already established resources totalling 444,000oz of gold split between Lobo (82,000oz) and Archangel (363,000oz). The indicated and inferred resource is split between two permitted areas – Lobo MPSA and Archangel MPSA. Lobo features an 82,000 ounce indicated and inferred (604,000t @ 4.2g/t) resource; including the South West Breccia (SWB) lode which has an average open pit mining grade of 6.8g/t and where RMX is aiming to enter early production. Archangel holds 363,000 ounces (5,586,000 @ 2.0g/t) which RMX plans to produce from in the 3rd or 4th year of the project. RMX plans to mine 100,000 ounces of high grade gold over the initial five years at Batangas and use the cash flow to fund expansion and exploration elsewhere. Free cash flow from production of the first 100,000 ounces at the Project level is expected to be $45 million. In a recent Interim feasibility study released in January 2015, a projected gold price of $1,600 was used to estimate free cash flow at RMX. Having fallen as low as AU$1,480 in early May the gold price has since recovered up to AU$1,550 at the time of writing. This is an encouraging development as Full feasibility study results are keenly awaited. The Lobo prospect contains the project’s most reachable gold deposits at a grade of 4.2 grams per tonne. Exploring high-grade gold at shallow depths is most conducive for short-term cash flow generation. Earlier this year, RMX reported high grade gold results from South Breccia (SWB) on its Lobo prospect in the Batangas Gold Project. Highlights include trenching results of 9m @ 28.9 g/t gold and 11m @ 19.1 g/t. These results validate and extend RMX’s early mining targets. The prospect at Kay Tanda on the Archangel MPSA contains 363,000 ounces at further depths in comparison to Lobo. RMX intends to concentrate its efforts on short-term production with generated cash flow being utilized to fund further exploration and development at sites with deeper gold deposits. Meanwhile, RMX’s schedule has been shortened following additional funding coming from capital raising and venture capital investment. The recently completed Rights issue and Placement of shares combined with Bluebird’s capital injections has allowed the DFS to be fast tracked. The main focus of the remainder of the DFS will be on final process engineering and residue storage facility designs, to determine final capital costs. RMX’s Batangas Gold Project has just been fully endorsed by the Lobo Municipal Council in the Philippines therefore confirming local support for RMX to conduct exploration activity in the region. Earlier this year in January, RMX was fully endorsed by all ten Barungay (township) councils with official final approval being confirmed last month by the ‘Lobo Municipal Government Council’, which has now fully endorsed RMX’s gold project. RMX has submitted a new Social Development Management Plan to the Philippines Government for approval, as well as a Batangas Project development plan. RMX currently employs 54 Filipino employees, including 32 from the local Batangas-Lobo area, and many are involved in social, community development and environmental programs. As part of the Council approval, RMX intends to employ more local staff as the project continues into the future. In the coming weeks, the final round of reviews for the Environmental Impact Statement (EIS) and Environmental Compliance Certificate (ECC) will be completed, ahead of the central government’s, Environmental Management Bureau’s (EMB) final review. RMX is hoping to have all environmental approvals confirmed by the end of Q3 2015. With total local support, RMX has established a solid foundation to enter high-grade gold production in the near term and establish itself as a premiere gold, silver and potentially copper miner far into the future. At a Project level, that could generate up to $67M in operating cash flow and $45M in free cash flow over the initial 5 years, which can be used for further resource discovery and to expand the Batangas Gold Project.